Learn more about the Pug. Learn more about the Beagle. 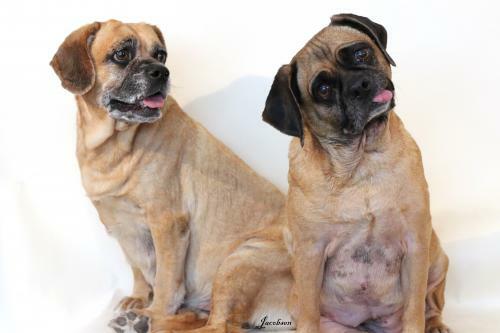 Peanut and Goldie needs a caretaker or foster! Won't you consider helping her get a new start? About Me: We are a bonded pair. Our owner could no longer care for us, so we found ourselves looking for a new home. This rescue stepped up and took us in. We are super sweet girls and just want to be loved on. We will follow you everwhere (snorting as we go!). We can't wait to find a forever home that will love both of us.